Called to the Bar, Gavin has spent the last 15 years specialising in all areas of working capital both as an advisor and a lender. He has founded and run a number of specialist lending businesses and regularly lectures and writes on the subject of trade finance and working capital. He is regularly retained by companies looking to create and launch lending structures and has worked for blue chip clients on a global basis. Gavin is also the current Chair of the Audit Committee and Governor of Abingdon and Witney College, an award winning college of further education. A chartered accountant with a particular expertise in insolvency and property having spent 10 years in the insolvency team at Andersen working on a number of high profile cases. Demetrios has experience in operational management of lending businesses, initially through secondment to RBS and latterly through the formation of his own businesses. He was a founding shareholder in Marwood Motor Finance Legion Trade Finance. Demetrios is the financial officer of Maitland-Smith plc and is instrumental in the financial design of funding solutions. A leading expert in fund management. His 30+ year career has seen him run investment funds for Dresdner Bank in Hong Kong and more recently form and manage a number of innovative funds in the UK, particularly in the Hedge Fund platform space. 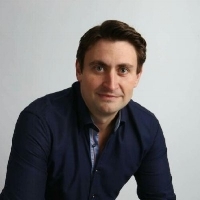 He is a founder of Black Swan Data Limited, which is one of the UK’s fastest growing technology start-ups and Jordasic UK Limited which has been a corporate advisory business and technology investor since 1998. Christopher is a physicist by education with an MBA and is a fellow of the Royal Society of Arts. An experienced lender and investor with a background both in fund management and property development. Euan spent a number of years managing regional developments for McAlpine Homes (which later became part of Taylor Wimpey Homes). He has also spent a considerable part of his career with Cazenove and has broad experience in running and financing a wide variety of sectors including building materials, mining and engineering. Euan has a long track record of lending his own capital to SME businesses. Robin is a recognised leader in the working capital sector. He formed Gower House Associates in 1983 and has been involved in numerous major fundraisings over 35 years. Gower House was acquired by Maitland-Smith, with Robin joining the board as Chairman. Robin headed up the turnaround team that raised over £75 million for Eurodis Electron PLC, during a period of distressed trading. Facilities were on a global basis and included receivables funding, stock finance and trade finance in jurisdictions such as the UK, Benelux, Germany and the Czech Republic. Ed is a business development specialist with a proven track record in fundraising and business promotion. Ed brings his experience in raising debt, equity and mid-stack finance with a wide network of contacts to Maitland-Smith. Ed’s background in fundraising includes real estate and development funds for UK and overseas residential property, development finance and land-use change funds for forestry and reforestation projects in South America, Asia and Africa. He has also founded, funded and managed his own property finance and property trading businesses.